Parents want their children to do well in school and get into college. But almost 40 percent of parents in an NPR, Robert Wood Johnson poll say their high school student is experiencing a great deal of stress from school. 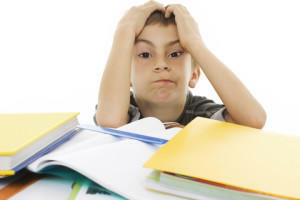 The impact of academic stress on student mental health is a growing concern. 89.1 WEMU's Andrew Cluley reports on the growing concern of academic stress causing mental health issues for teens. University of Michigan Psychiatry faculty member Elizabeth Koschmann says middle and high school students have always faced stress from academics. But she believes the sense of stress is increasing as students have less down time after classes, sports, and extracurriculars. Parents can help by emphasizing a balance between striving for success and having fun and by demonstrating good habits for coping with stress. Koschmann says students need help from outside of the home as well. "If schools were to integrate wellness education, or social emotional learning programs, or other strategies that support mental health of students into their daily curricula then I think that could have a huge impact," she says. Koschmann says it's important for kids to deal with the mental health impacts of academic stress before they graduate from high school. That's because studies show college is a very stressful time for many students. Dr. Lisa Lauterbach is the Director of Eastern Michigan University's Counseling and Psychological Services. She says academic stress generally isn't the primary reason students seek counseling. "They are coming to our office because they're dealing with a great deal of anxiety and worry. That's our primary diagnosis if you want to think about that, or presenting problem. Depression is the second most frequent reason for a visit to our office," Lauterbach says. To help parents understand the mental health impact of academic stress a community forum will be held Tuesday night at the Ann Arbor District Library's downtown branch. There are a myriad of concerns over the health of the Great Lakes. From toxic algae blooms to urban chemical run-off, the quality of the world's largest fresh-water system is under constant scrutiny. A University of Michigan professor confirms the concern is warranted, and is urging action throughout the basin. 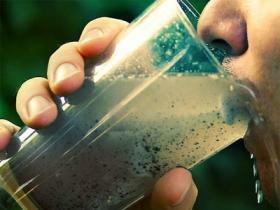 89.1 WEMU's Andrew Cluley reports on concerns over the quality of water in the Great Lakes. Would an online review influence your decision on choosing a doctor for your child? A new University of Michigan study suggests it can make a difference, even if the trustworthiness of the review is questionable. David Hanauer is a U-of-M associate professor of Pediatrics and lead author of the study. A rising need for surgery has prompted the University of Michigan Health System to expand its operating room facilities. The multi-million dollar project will be renovating more than 24-thousand square feet for use as support spaces, equipment storage and new operating rooms. Shon Dwyer is the acting Executive Director of University Hospitals. As the Obama administration lines up international support in the effort to dismantle the Islamic State in Iraq and Syria, or ISIS, the local Muslim community may find itself caught in the middle. Eastern Michigan University political science professor Edward Sidlow says prejudice ands bigotry are a reality in the U.S., but we can work to sensitize those around us. Eastern Michigan University part-time lecturers Wednesday have been gathering petition signatures again in the Pray-Harrold building to present to university administration. They were there Tuesday, saying they're having trouble paying bills and putting food on the table because the school isn't paying them on time. Part-time lecturers set up a table outside of the Eagle Cafe' in Pray-Harrold, asking people passing by to take a marker and sign an oversized petition sheet on an easel. Connecting Ann Arbor and Ypsilanti, Washtenaw Avenue is the busiest street in the county. An effort to give this corridor a more pedestrian friendly make-over is now five years old. Most of the progress made so far is only on paper, but is expected to produce long term results. 89.1 WEMU's Andrew Cluley reports on the progress of the Re-Imagine Washtenaw program and some next steps. 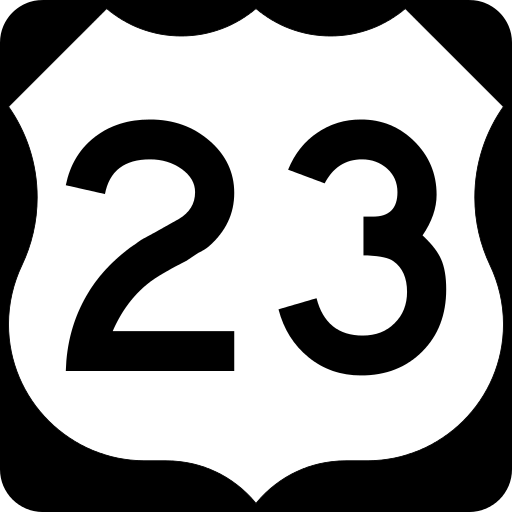 Over 60,000 cars a day use U-S 23 between M-14 and I-96. It's frequently the site of accidents and slow morning and evening commutes. The Michigan Department of Transportation hopes the Ann Arbor Area Transportation Authority can help ease congestion. 89.1 WEMU's Andrew Cluley reports on a possible park and ride lot north of Ann Arbor to ease U-S 23 traffic congestion.